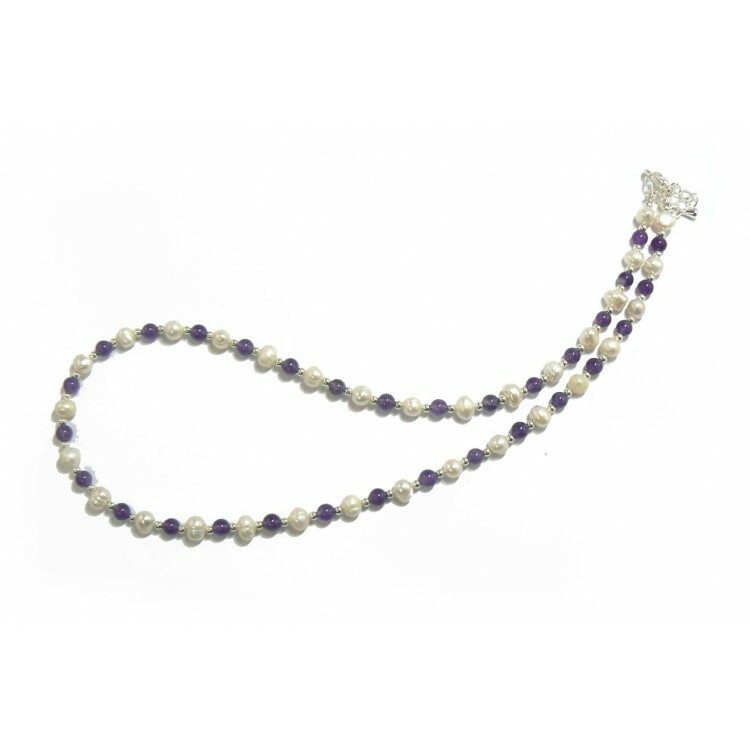 Majestic, royal amethyst, and exquisite white freshwater pearl necklace. Finely crafted especially for the glamorous lady that is passionate about pearls. Amethyst the birthstone for Aquarious Jan 20-Feb 18. The amethyst crystal grows in Geodes, and the tone of the quartz changes from deep imperial purple, to a very pale almost lavender, due to its iron content. I have made this necklace 18" (45cm) long, and added tiny silver plated spacer beads between the gemstones. 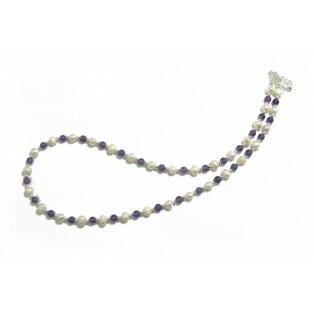 The silver plated beads and clasp are "Nickel Free" to comply with EU directives.